I am going to go against all of the rules here and do something that I was told never to do. I am going to write an article all about ME ME MEEEEEEE! Okay, it is not all about me really but about some of the knitting that I have discovered is much easier (for me at least) using knitting machine patterns and playing around with them a little bit. Now this is not entirely true for all of them but for quite a few of them, what I have done is taken basic patterns and embellished on them as well rather than just using the knitting machine to create embellishments for my other works. Now one of the most common things I use the knitting machines for is the simple knots … simple for most people at least. The Celtic Knots are among my favorites but while I am able to do quite a bit of needlework without too many problems, the slight shaking in my hands prevents me from doing much detail work with knitting needles … especially when it comes to some of the more lightweight yarns. I enjoy using the smaller knots as decorative items on larger pieces I create for other uses. Knitting the Celtic Knots around a small, round magnet allows me to create really neat little refrigerator magnets that are decorative as well as functional. Additional uses can include using them to highlight other items as well. There are the ever-popular decorations for throw-pillows which will likely always remain very popular. Additionally, I make hems for lampshades, curtains and even for valances over windows and doorways. The smaller decorations help to highlight the work and make it stand out as opposed to the more simple knitted lace trim or hemming. Neck chains are very popular and if you are looking for a part-time and profitable hobby, you may be surprised how much you can accomplish with the right patterns and a fairly cheap knitting machine. Again, due to the shaking in my hands, I have a difficult time with the Ribbon Yarn. However, the Ribbon Yarn does make some really nice “bolo” like necklaces which I knit into a small plastic clip which can then be used to hold pens, id cards and even cell phones. If you do not like the Ribbon Yarn, the very Lightweight Yarns also work very well for this. There is almost no limit to what can be created here. The same techniques can be used for watch chains, bracelets and even small, colorful and cheap rings that can easily be sold for a couple of dollars each. I have knitted covers for about everything in my home short of the furniture. Given time, I may do that as well but for things like cookie jars, flour containers, spice racks and other common household items, a custom made knitted cover just gives it a bit of a personal touch. However, in some areas, the common knots made with the Chunky Yarn not only attract dust and dirt, it seems to capture it and hold onto it for dear life making it very difficult to clean. The custom knots made with the Lightweight Yarn allow for a more decorative touch without being so difficult to clean or requiring nearly as many washings … which even in cold water will eventually wear on your knitting work. Now here I have to cheat a little bit since most of my personalized covers are made with the heavier yarn and the lace or knots I knit are not about to go in with the same stitching. I do have to use a few stitches of thread to sew them on but if you use close colors, you can make this seam almost invisible. If you want to make it stand out, use a gold or blue metallic thread and make an actual border around the embellishments to make them stand out even more. The contrasting colors can work just as well for highlighting as the similar color yarns and threads do for making it more subtle. It all depends on your personal tastes. Knitting Machine Patterns are very similar to recipes in this aspect; while you can generally rest assured that the pattern will work, it is sometimes just fun to see what can be done to make it just a little better and a little more “you”. The Passap Knitting Machines are one of the most diverse and flexible models insofar as the different threads that they will handle, the materials that you can create and the styles of knitting that you can perform with them. They are a bit on the pricey side but if you are knitting for money and want a machine that can keep up with your pace and the ever-changing pace of a growing knitting business, the Passup Knitting Machines are an excellent value and a very high-quality knitting machine to add to your production floor. Many of the Passup Machines come fully equipped to deal with multiple types of yarn all the way down to lace and all the way up to the chunky yarns so popular for sweaters, caps and mittens. If you are looking for one single knitting machine that can create an entire ensemble than Passup Knitting Machines are definitely among the ones you want to examine closely. They may be a bit expensive for those who are new to the world of knitting but if you are looking for an all around incredible machine, then Passup has something in your league. There is a bit of a learning curve for the Passup Knitting Machines but nothing that cannot be overcome by someone who has worked with automated knitting machines in the past. If you have not, it may take a little more patience and a little more time but you can still master the Passup without too many headaches and generally without breaking anything. While it may be difficult at first, once you have learned the subtle nuances of these machines, you have found your mark, you are already set and you are definitely ready to go. (In my very personal opinion) One of the finest knitting machines available today is the Passup E-6000. 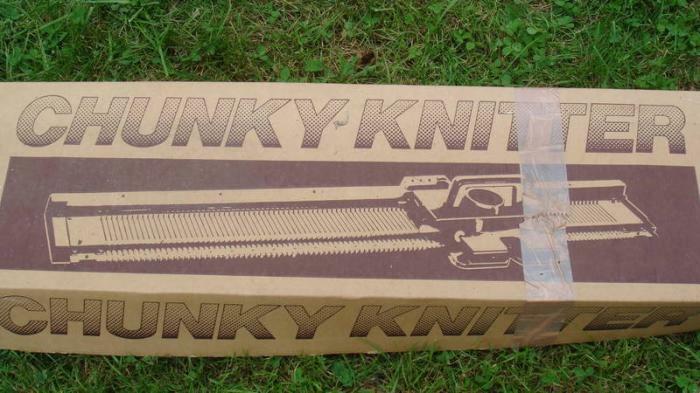 This truly amazing knitting machine comes with well over six-hundred patterns already stored in its memory and has the capacity for you to create your very own patterns and designs in a most unique fashion. With the Passup E 6000 you can actually draw your very own design and implement and integrate any of your personal knitting designs with those that are already stored on the machine to create your very own special touch and truly make your mark on the fashion world. The Passup E-6000 also has the added benefit of being able to work without weights so that all of your stitches are always equal and symmetrical and you do not get any of the variations that are so common with some machines and when knitting by hand. When you are knitting anything that requires incremental changes in shape, the machine itself tells you how many stitches you need to add or take away in order to obtain the exact shapes that you want. This makes it possible to create things with a knitting machine that would not only be time consuming but tedious and often frustrating when knitting by hand. All things being equal; if you are serious about machine knitting and are looking for flexibility, production capacity and incredible workmanship, at least one of the Passup Knitting Machines will probably be your final choice. The Silver Reed Knitting Machine is the only series of home knitting machines still in active production. While not all of their older models are available as new products, this does give them something of an edge over their competitors. The Silver Reed Knitting Machines are Japanese made and have been distributed under the names of Singer knitting machines, Studio, Empisal and KnitMaster. Apart from the fact that they are the only home knitting machines still in production, the Silver Reed Knitting Machines do have some other points in their favor. They are relatively easy to set up and use which puts them way ahead of much of their competition especially among people who are new to the world of knitting and more specifically, machine knitting. Used Silver Reed Knitting Machines are also readily available although parts for some of the older machines can be a bit difficult to obtain. Some of the older machines may be sold online as “Vintage” but they still seem to be well built and capable of coming out of retirement to function fine. Used parts may not be plentiful but they are available online even if you do have to do a little bit of digging to find them. Places like E Bay do seem to get them on a pretty regular basis and some of the shops regularly purchase old machines specifically for parts both to use and to sell. 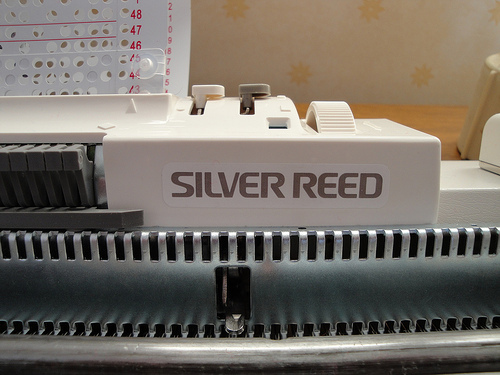 Another great advantage with the Silver Reed Knitting Machines is the ability to interchange a limited number of parts. While this is not true with all of their machines, lists are readily available online which will show you exactly what parts can be interchanged among their different machines. Additional benefits of the Silver Reed machines in regards to this aspect is the fact that you can still go directly to the factory with your inquiries. Even if they do not sell the older machines any more, there are still people there who have more information than the average person will. They may also have just what you need on hand stashed in a corner somewhere and while it may require a little bit of time on the telephone, this can be a great bonus for people who are not overly familiar with the complexities among even the simple knitting machines. The Silver Reed machines also come in a variety of sizes to allow you to work with nearly any type or weight of yarn. Some of the newer Silver Reed Knitting Machines are also easily used with many of the more difficult yarns and even wire should you wish to incorporate some of that into your knitting work. Patterns for the Silver Reed Knitting Machines are numerous and easy to find. While they are not as easily manipulated as with some of the other knitting machines, custom work and incorporating different aspects of different patterns is possible with a little bit of practice. The price and the overall value make the vast majority of the Silver Reed machines a great bargain for the price. Their ease of use and low learning curve also make them a great solution for many people who are new to the world of machine knitting. If you are just looking for a knitting machine to help you along in some of those more difficult moments, the Silver Reed Knitting Machines are and will likely remain a great place to start. The Singer Knitting Machines come in a wide range of sizes, shapes and varieties designed for almost any type or weight knitting yarn. While they may not be as popular as some of the other brands of knitting machines, the Singer Knitting Machines do have certain offerings that are extremely valuable to the serious knitter in your home or family. At first glance, there are only two prohibitive factors when you are considering the purchase of a Singer Knitting Machine. They are no longer produced by Singer and the prices are rather steep for anyone relatively new to the world of knitting. However, these are also offset as well. The parts and service for Singer Knitting Machines are readily available in many locations around the globe and the relative ease of use regarding even the more advanced knitting machines by Singer make it a popular selection for some. 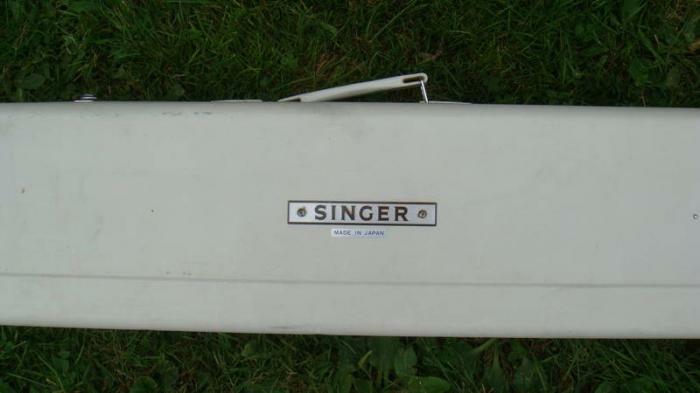 The Singer line of knitting machines starts out on the low end with many “Toy” knitting machines that are in fact very functional. Whether they are deemed to be “toy” knitting machines because of their plastic construction or ease of use is unknown but they are still fully functional knitting machines that can be used by adults for adornments and embellishments as easily as they can be to introduce your children (or grandchildren) to the wonderful world of knitting, arts and crafts. There are numerous attachments and other parts readily available for the Singer Knitting Machines as well. 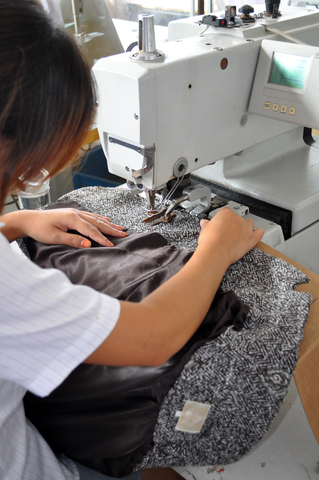 Singer Stores are also very common in nearly any large city so finding a certified Singer Technician who actually has experience with the Singer Knitting Machines should not be a major problem. The Singer Knitting Machines are no more sensitive than any of the other machines and are much better built than some but as with any such sensitive equipment, minor problems can cause major difficulties when you are actually attempting to use the machine. Finding a reputable Singer technician or Service Center should allow you to find a technician who is intimately familiar with your Singer Knitting Machine and can keep it running in nearly perfect order. 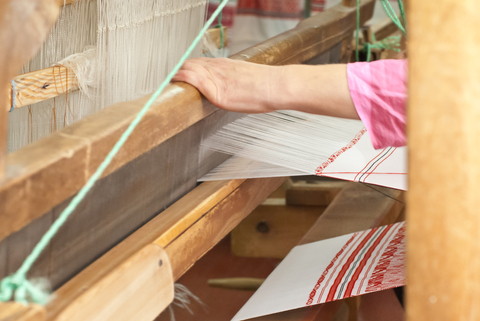 When you get up into the larger Singer Knitting Machines, they are very nearly commercial in their nature and ability to produce the finished products. The Singer Knitting Machines at this level are truly amazing machines and have an incredible capacity for knitting at speed. The learning curve may be a bit higher than some of the other knitting machines but if you have the patience to get it up and running and keep all of the finer parts in good condition, these machines really are difficult to beat. Singer Knitting Machines and attachments are readily available for nearly any yarn weight and style so even working with those difficult yarns like the ribbon yarns, the lace yarns and even the chunky yarns that sometimes create problems on knitting machines can be easily worked with. Again, there may be a slight learning curve and the prices may be a little steep for those new to knitting, if you are a seasoned professional, have the time and patience to learn your machine and are serious about production, the Singer Knitting Machines are difficult to beat. The Brother Knitting Machines are the most popular brands of knitting machines in the United States of America and remain popular there and in many other places around the world. The Brother Knitting Machines are some of the most diverse and flexible and are well built and relatively easy to use. Brother has been building Home and Industrial Appliances as well as business equipment since their inception in 1954 and they have maintained an excellent reputation throughout the years. That reputation was hard-earned and when Brother puts its name behind a product, you can rest assured that you will be getting excellent quality machines and an excellent value for your investments. The knitting machines built by brother are certainly no exception there. Brother Knitting Machines come in a variety of shapes and sizes for all different manners of knitting. The Primary Knitting Machines are all of the KH series but you may occasionally see KR and KX in reference to these same machines. Do not let that throw you. The Brother KR Series is actually a set of Ribbing Attachments for certain individual knitting machines as well as two additional instructional and owners manuals for the Ribbing Attachments. There is also a KRC 830 which is a Color Changer. The KX 350 is the only machine in the KX series. 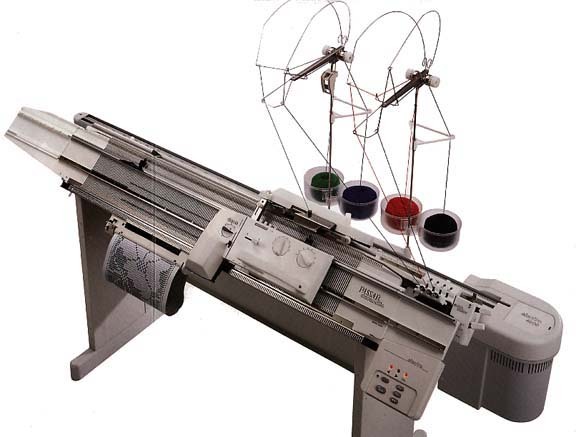 The KH series of Brother Knitting machines is a very extensive and comprehensive selection of equipment. While there will always be things that a human can do which a machine cannot, the people at Brother have done a pretty good job of making a selection and variety of knitting machines that will fit most of your needs. 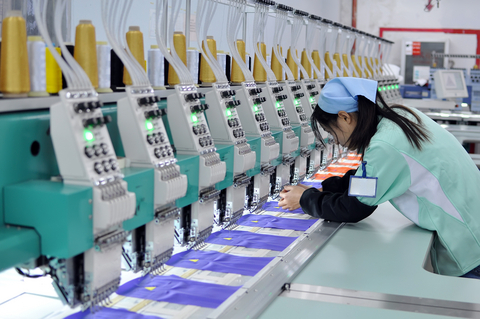 No matter whether you are trying to automate part of your knitting production, just want to experiment a little or actually need the machines for mass production, the brother knitting machines are going to have something that does exactly what you want and need it to do. Many of the Brother machines come replete with a selection of patterns, punchcards and instructions to help you get started immediately. However, do not expect to master any knitting machine in the very first day. The very first thing you need to do before you ever consider purchasing a knitting machine whether it is a Brother or any other brand, is to clearly define your needs and expectations when it comes to an “automated” knitting machine. There is not going to be any single machine that can do everything. There are flat machines for knitting flat sections of cloth. These are generally very popular among artists and others who may want a unique background for a photograph, wall hanging or other work of art. The “Nine Millimeter” knitting machines are made specifically for heavier yarns and generally have a looser weave than the machines that are built for the baby yarn or thread-like yard often used in socks and even some clothing items. The machines built for the smaller yarns will never be useful for large sweaters, ascots, scarves and other items typically made with larger yarn. Still, if you are looking for a reliable and dependable knitting machine that does have a number of options, the Brother Knitting Machines are never a bad idea. Given the ease of use, the readily available patterns, owner’s manuals and even instruction booklets straight from the factory itself make the Brother Knitting Machines a great option and a great overall value for the price. People who are new to the world of knitting altogether or more specifically to the world of machine knitting may not know this, but machine-knitting patterns can be substantially different from the more traditional Hand-Knit patterns. Still, as the knitting machines become more advanced, they are very handy tools for both product creation and for making really beautiful embellishments for knitted materials or to decorate almost any common household item. On a more personal note, my favorites are the numerous machine patterns for the knots. I have a very difficult time knitting these by hand but there are numerous knitting machines available at very reasonable prices that have allowed me to create some of the most beautiful adornments for many household items. I use these knots that are created from the machine patterns to adorn throw-pillows, pot-holders, cookie jars and even in the creation of shadow-boxes and some of my other wall hangings. Knitting machine patterns are not relegated to the simple knots or other smaller jewelry or otherwise decorative items that many people believe them to be. While knitting machines do have their limitations based on numerous factors, they are really quite adept at helping to create some really beautiful works of art and clothing. While many of the knitting machines come with a wide selection of patterns, there are also many more patterns readily available as well as options for creating fully custom knitting patterns. 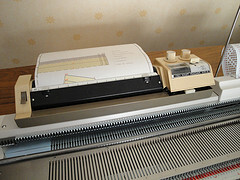 Knitting machine patterns are also available for many of the fancy yarns that are so difficult to work by hand. The ribbon yarn has long been the bane of many knitters (and hats off to you if you have mastered this) but some of the knitting machines can almost fully automate the process while others make it substantially easier to work this and with some of the other more difficult fancy yarns. While you may not want to create an entire garment from these, you can now create some very beautiful trim and seams for your garments to enhance them and make them even more lovely than they were before. Some people have a difficult time with the tight knitting on many blouses, capes, socks and other knitting projects that use the sports weight or other lighter yarns. The uniformity of the machines makes these worries and troubles a thing of the past. Machine knitting patterns are readily available for every type of yarn and every type of knitting project. If you were ever concerned that knitting machine patterns would be limited to small knots and other embellishments, you need worry no more. The entire spectrum of knitting projects can be completed in part or in whole with some of the knitting machines that are available these days. One of the knitting machines that are not often the first thing people think of when thinking about knitting machine patterns are is the flat knitting machines and the numerous patterns that are available for them. Some of the flat knitting machines will require some special attention and maybe changing the yarn(s) a few times, but these patterns can be used to create actual cloth to be used in any number of different projects. These days, the question is not so much what kinds of machine knitting patterns are available but what you want to create. There are many commonly held misconceptions about knitting machines. In order to decide which knitting machine will or will not work for you, it is first important to know exactly what you plan to be doing with the knitting machine. You also need to factor in what types of yarn you will be using to knit with as the different knitting machines are set up only for specific types and sizes of yarn. In short, before you decide which knitting machine is the one that you are going to purchase, you need to make certain that it will fit your personal needs. If you are a very versatile person and commonly knit with many different types, sizes and styles of knitting yarn, it is highly unlikely that you are going to find any single knitting machine that will do everything that you are already able to complete by hand. Furthermore, the knitting machines are not going to be able to create all of the specific knots and stitches that you do. Again, the basic mechanics of knitting make it extremely difficult for all but the most expensive commercial knitting machines to perform even a fraction of what you are currently doing by hand. Even then, the knitting machines will have different uses and there is still a need for many different and “specialized” knitting machines. Contrary to popular belief, the knitting machines will not fully automate the entire process and greatly increase your output … at least not until you learn all of the little quirks in regards to whatever brand knitting machine you ultimately decide on purchasing. That is because each individual machine is going to be different for more than just the types and sizes of yarn that you are using. 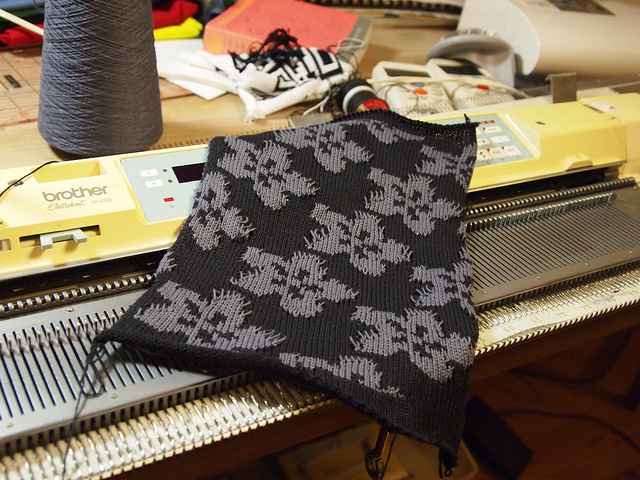 The needles will all be spaced at different intervals depending on the knitting machine that you choose. The latch hooks are all firmly locked into place so the number of threads and the stitch size will always be constrained by this. Thus, you can purchase a knitting machine to stitch heavy yarn for sweaters and such or a knitting machine that will allow you to knit socks but unless you want some really strange looking clothes, you are going to have to compromise some. Patterns may also be substantially different for knitting by hand than it is for the knitting machines. When you are knitting by hand, all of your stitches will be measured as you go and you have at least a modicum of control over what the final product ends up as. With a knitting machine, you may still have the same control but you lose some of the flexibility that you would have when knitting by hand. The knitting machine cannot see and think the way that a human can so by its very nature, there are always going to be some limitations. If you only want or need a knitting machine to perform one single function in your production, you will have a much easier time selecting the proper knitting machine. However, if you are looking for a flexible knitting machine that can handle a number of tasks for you, the decision may be a bit more difficult. The two most important things for you to remember are to clearly define what you need the knitting machine to handle and then to learn enough about the knitting machines so that you know which machine will perform that function with the least probability of additional work on your part. Then again, that is why we built this site … so that you could get all of the relevant information and make an informed decision regarding which knitting machine will be best for you. There is unfortunately, no simple answer to this question. I love knitting of any kind, and have started this blog to give you lots of information and advice about machine knitting, because I have been asked all these questions so often! Please enjoy and feel free to leave comments and questions. Step-by-step strategy and real live examples of women making money from their knitting. How to get started even if you have no money and no experience!